From dramatic landscapes and kangaroo-filled horizons to outback dunnies and famous pubs, Australia’s vast interior offers a unique travel adventure, for intrepid souls. Get ready to pack your Akubra and head out bush. If you love road trips and can’t wait to get off the beaten path, head inland to discover the colourful, quirky wilderness that is our ‘Outback’. It’s not what you’d call a relaxing break - more a deliberate quest for inspiration on a backdrop of jaw-dropping scenery. One thing’s for sure, you’ll return feeling like a true, dinky-di explorer. 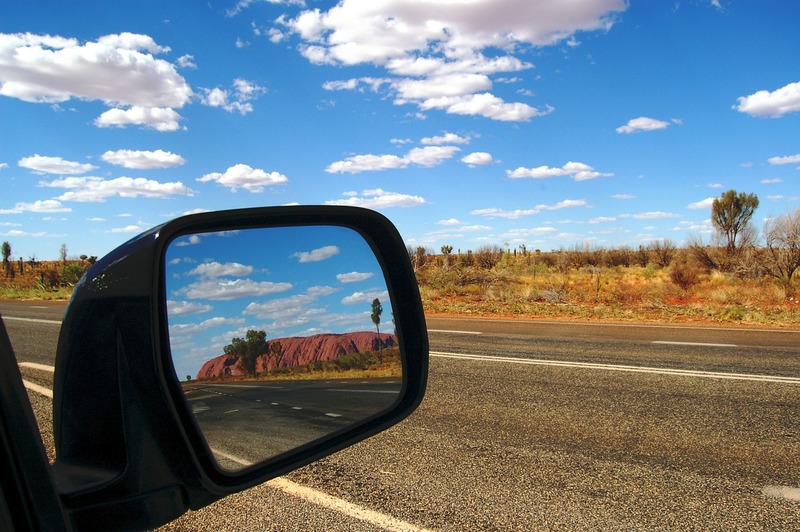 Tour the Red Centre on an outback road adventure. There are no borders that classify the ‘outback’ and you’ll find access from whichever city you live in. For example, from Sydney traverse the central Darling Shire to White Cliffs. Or, from Brisbane, make your way to Birdsville through vast, rugged landscapes. The Stuart Highway from Adelaide to Darwin is one of the easiest, crisscrossed by the Oodnadatta Track for the truly adventurous. The Red Centre, with iconic Ayers Rock, is obviously one of the most popular touring routes and you’ll start your trip in Alice Springs. In terms of famous roads that put you in the heart of outback scenery, the Stuart Highway from Adelaide to Darwin is one of the easiest, crisscrossed by the Oodnadatta Track for the truly adventurous. Then, there’s the Great Victoria, Gibson, Great Sandy and Tanami deserts, for four wheel drive lovers. Crossing the Nullarbor Plain is a rite of passage for many Aussie explorers. It takes about six days to travel between Adelaide and Perth, along the longest, straightest and flattest road in the country. First up, if you’re a true city-slicker and don’t know where to start, the experience is still well within reach. There are tour companies in every state, who’ll do the hard work for you. If you know what you’re doing, but don’t have a four wheel drive for bush-bashing, it’s a cost-effective option to fly into a regional centre, like Darwin or Longreach and hire one from there. When you want a DIY adventure, you’ll need to invest time in considerable planning, however many of the roads are easily accessible, even without a four wheel drive. Simply choose a route to match your equipment, expertise and time limit. 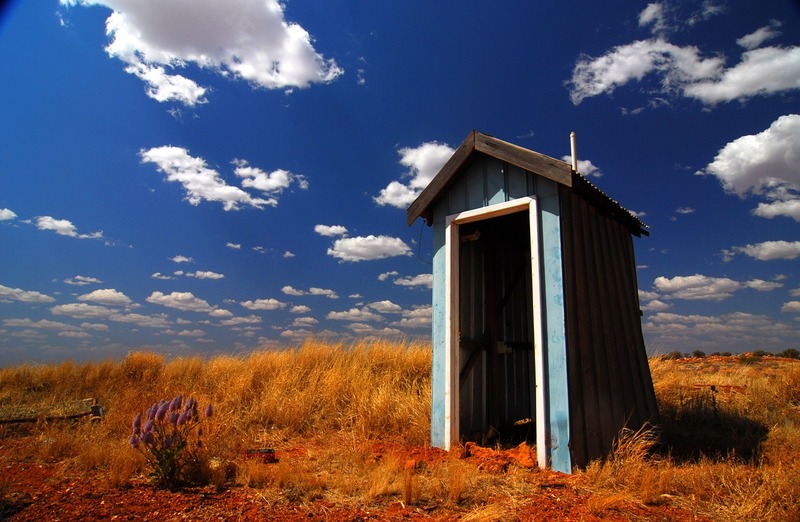 The kids will love colourful, quirky sights like the classic outback dunny, along the way. If you decide on a particularly remote journey, it’s essential to pack everything you’ll need, keeping in mind you may not see a shop for days. This includes sufficient food and water, camping equipment, paper maps, a satellite phone, a first aid kit, spare tyres and medications. While there are dangers in the outback, simple common sense is all that’s required to avoid most issues. Take your time along dirt tracks, beware of kangaroos, wallabies and emus crossing, stay with your car in the event of a breakdown and, before each big stretch, let someone know where you’re heading and the approximate time of arrival. If you’re taking the kids, a game of ‘I Spy’ might not suffice, along roads that meet the glistening horizon with nothing in between. While you’ll love the serene emptiness, they might be happier with a significant stash of games and books. Once you’re organised, an outback adventure is one that inspires you to dream as big as the vast wilderness surrounding you. Nicole Leigh West is the author of fiction novel, 'The Gypsy Trail' and an internationally recognised travel and lifestyle writer. Follow us on Twitter for more news, tips and inspiration. Like us on Facebook and Google+ explore our Pinterest boards. Like this article or found it helpful? Share it! This information is provided by ©Denuo Pty Ltd trading as Direct Property Network (DPN) ABN: 44 023 361 281, Australian Credit Licence 383530. DPN Finance Pty Ltd is an authorised credit representative 504129 and related entity of DPN. Credit for Dream Big 100% Offset and Work Smart 100% Offset is provided by Adelaide Bank a division of Bendigo and Adelaide Bank Ltd, ABN 11 068 049 178 and Australian Credit Licence 237879.